In Kenya, private security guard have to carry arm licences in case they carry firearms, and is the same case in most countries. However, very few, especially in public places are licensed to carry arms. The licenses require regular refresher courses in gun safety and shooting to ensure that the person carrying is up to date and safe. However, most of the guards, for instance in Kenya, are not trained in basic firearm handling, let alone the idea of possessing them. It was reported that the government had approved a proposal to have private guards armed on condition that the Private Security Regulatory Authority came up with regulations to guide the guards. Just three days after the Dusit D2 terror attack at 14 Riverside Drive, all senior supervisors and managers of security firms have been summoned to Nairobi by Director General of Private Security Regulatory Authority (PSRA), Fazul Mohamed. The main agenda of the meeting is issuance of firearms to guards manning key institutions and public spaces. According to an invite seen by this writer, those who will be issued with guns will face mandatory training and fresh vetting. The big question lies on the modalities to be used to choose who is handed a gun and who is not, where armed guards are needed and where they are not. It is feared that malls and establishments in poor neighborhoods might be overlooked in this new development. Also questions on discipline in handling guns also linger around the issue, with several cases of guns misuse being recorded of the years. This comes at the wake of poor regulation on private arms in the country, prompting a cancellation of all firearm licences in the country, and a disbandment of the Firearms Licensing Board by Interior Cabinet Secretary Fred Matiang’i. Later, he appointed a new board chaired by Charles Mwongera. Other members include David Kahinga, Jackson Kimutai, Vincent Wahoro, Nancy Kabete, Justin Odhiambo and Lazarus Mbondo. Matiang’i admitted that the previous board had been infiltrated by a cartel group that was issuing fake permits to illegal firearm holders. He also noted that a digital register for firearm holders is set to be rolled out and a comprehensive audit on the Kenya Police Reservists (KPR) to know who owns guns carried out. “In the next one year, we will have a record of anyone who is a KPR so that we do not have militias in the name of KPRs because firearms could be misused,” the CS said. In Kenya, cattle rustlers and city muggers are among the nuisance unlicensed gun holders holding the public by the balls. The only guards licensed to carry guns are those manning ranches. Last year, Mahamed said an internationally approved curriculum was being developed for the training the security guards. “We have formally made the request and brought in experts who will go through the curriculum. By the end of next year, you will all have gone through the training,” Mr Mahamed told the guards last year. This comes as something that is not serious, only coming out whenever an attack happens, with nothing substantial happening in the background after the PR stunts. PSRA also lacks a proper guideline in the licencing of the firearm holders, which may pose a bigger risk to the public and to the guards if not implemented carefully. The main challenge may be posed by how most of these guards are remunerated, with most of them receiving very small salaries. This means that they might be tempted to use the guns to make more money through crime. 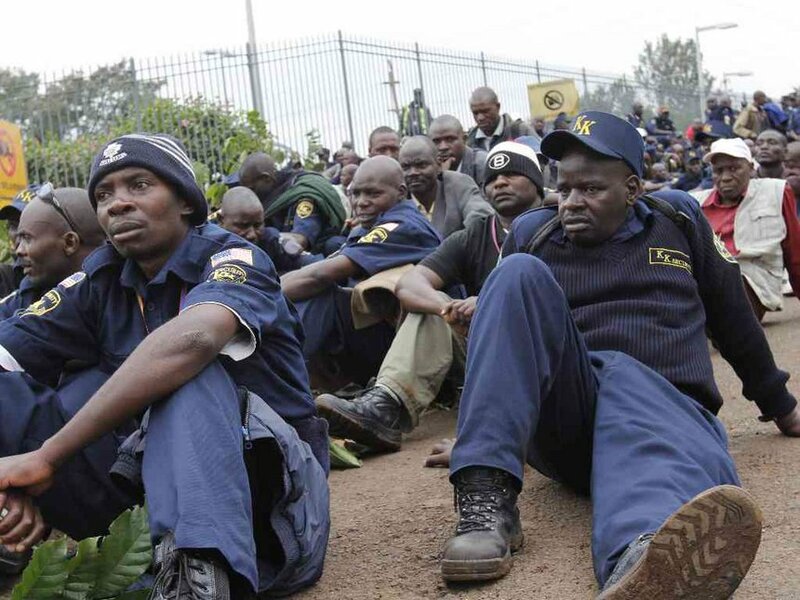 Therefore, PSRA should make sure that remuneration is the factor number one before the guards are armed. However, the good thing about arming private guards is that Kenya’s security forces could be relieved some of their duties such as VIP protection, to concentrate on public service.